It's all about the V factor. As in view. Christine Kipp & Team know that in our Sammamish, Redmond, Issaquah communities a view can often mean a higher price tag, as is the case in almost all cities across the globe. Lake Sammamish, Mount Rainier, Snoqualmie Vallley, Mt. Si....the list of opportunities for view are seemingly endless here. Although city dwellers may generally live stacked on top of one another in apartment complexes, they're more than willing to reach deep into their pockets to own their own slice of one of the nation's killer views—iconic sights like Manhattan's Central Park, San Francisco's Golden Gate Bridge, Lake Michigan in Chicago, Miami Beach, or the Las Vegas Strip. Of course, we had to know: Just how much deeper are buyers willing to dig? Turns out, spectacular scenery doesn't come cheap. It's worth noting that many of the homes with the best views are luxury buildings that would have cost more regardless of what residents can see outside of their windows, given their proximity to some of the country's top attractions. Those vistas only drive prices up further. But just how much? Read on to see which famous American views command the highest premiums. Manhattan is notorious for its exorbitantly priced, itty-bitty apartments, with windows that look onto a grand expanse of brick wall. Or alleys. But for those New Yorkers who can afford the privilege of natural light, there’s one view that matters above all others: Central Park. "It’s really about status," says Manhattan real estate agent Victoria Rong Kennedy of Citi Habitats. Apartments with prime views of the nation's most famous park, she says, are about showing off "what you have and who you are." Full views of the 843-acre oasis are stratified into their own degrees of rank, based on whether the homes sit above or below the tree line. Generally, the higher the floor, the more unobstructed the views are—and the higher the price. So that explains why apartments just a few floors apart in the same luxury building can have vastly different valuations. And why penthouses sit on the top of the price scale. Where you live along the park also matters. The green space is half a mile wide, cutting across majorly pricey midtown Manhattan on the bottom, the Upper East and Upper West Sides along the park's two-and-a-half-mile expanse, and less expensive Harlem on the top. It serves as the dividing point splitting Manhattan between east and west. 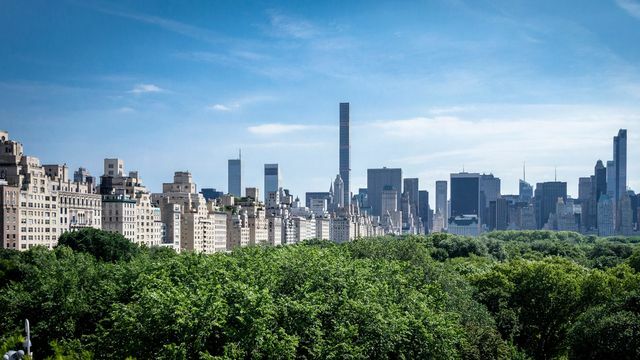 The most desirable views are widely considered to be on the south side of the park—aka Central Park South—home to some of the city's tallest, most luxurious, and priciest buildings, says Daniel Neiditch, president of Manhattan-based River 2 River Realty, a luxury real estate brokerage, landlord, and developer. Many are new constructions. The east and west sides of the park are also very much in demand, with the eastern abodes along Fifth Avenue slightly edging out their counterparts along Central Park West, price-wise. But that probably has more to do with living closer to prestigious, old-money Fifth Avenue than just the pleasure of watching the leaves change color from your window. San Francisco real estate is wildly pricey right now, because all the techies—and wannabe techies—are trying to get a toehold, so they can work in Silicon Valley. 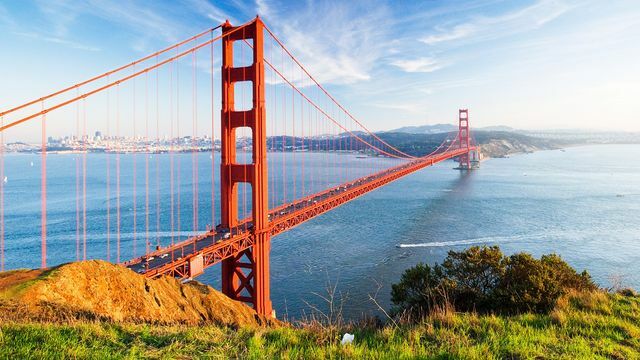 But add in a view of the iconic Golden Gate Bridge, and the prices on those homes can rise to even more dizzying heights. "[The] Golden Gate Bridge view is the rarest in the Bay Area," says Patrick Carlisle, chief market analyst at Paragon Real Estate Group. "It’s highly prized." That's because only a few hundred homes provide residents with a full vista of the famed burnt-orange overpass. Some of the best sightings are in Pacific Heights, the most expensive neighborhood in the city. The neighborhood, filled with luxury shops, several international consulates, and mansions, is also home to U.S. Rep. Nancy Pelosi, Danielle Steel, and PayPal co-founder Peter Thiel. Homes in the nearby neighborhoods of Russian Hill and Nob Hill also provide glimpses of the bridge. Locals prize the landmark so much that many tend to situate their living rooms on the third floor of their homes when remodeling, says luxury realtor Nina Hatvany of Pacific Union International. That way, they can enjoy the panoramas from the comfort of their couches. "It's what makes San Francisco special," Hatvany says of the bridge. "If you have a glorious view of the water, the bridge, and Alcatraz, then you know you’re in San Francisco." Miami—and Florida in general—was slammed hard by the foreclosure crisis, and home prices are still recovering. 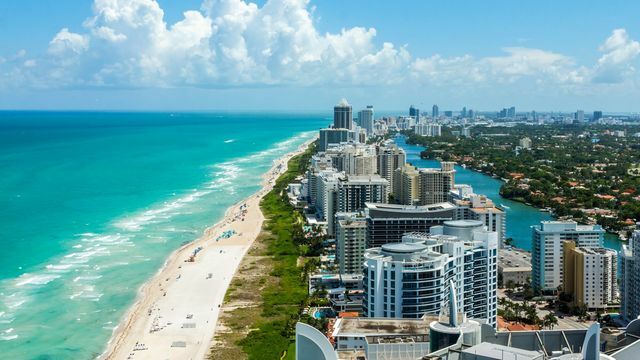 But flashy Miami Beach is white-hot again, with buyers eager to own a place in its iconic Art Deco District, enjoy the frenetic nightlife scene, and ogle the many beautiful international residents. And they're willing to compete for those highly coveted ocean views of South Beach, the long expanse of white sand, and the turquoise Atlantic waters that define the place . "If you’re going to do it, you might as well do it big, that’s the Miami mentality," says Realtor® Samantha DeBianchi, who starred on "Million Dollar Listings Miami." "If you have the money, why not have the best view?" Prices for the thousands of beachfront properties are highest in the more residential northern and southern ends of town, where luxe high-rises and townhouses are found. The middle is considered by locals to be mostly tourist fodder, and is indeed dominated by spring breakers and sunburned visitors. It's where many of the big hotels are located. Up north, chic new buildings and recently renovated properties, like the Faena, Edition, and Fontainebleau, fetch sky-high prices. But for the best of the best, you'd have to head down to SoFi, the area south of Fifth Avenue. It's home to dozens of glass, high-rise buildings, and plenty of chic restaurants and hip bars..
SoFi, Miami's most expensive area, is “the jewel of South Beach,” says Bianchi. In the Windy City, unobstructed views of Lake Michigan—which fills the entire horizon like an ocean view—are not for homeowners on a budget. The price differential for an eastern-facing condo with a clear view of the second-largest of the Great Lakes could be anywhere from 30% to 50% more than a western-facing unit with the same floor plan that only provides a partial glimpse of the lake, says luxury real estate agent Nancy Nugent, of Jameson Sotheby’s International Realty. And it isn't just the views that jack up the valuations. Buyers are willing to pay more to live near the walkable and bikeable shoreline and to be close enough to take a dip, hop on a boat, or simply go fishing whenever they choose. Yes, city folks do swim in these chilly waters. However, it isn't all luxury abodes facing the lake, which boasts 1,600 miles of shoreline and stretches into Indiana, Illinois, Michigan, and Wisconsin. There are also plenty of single-family homes, apartment buildings, and just about everything else, Nugent says. 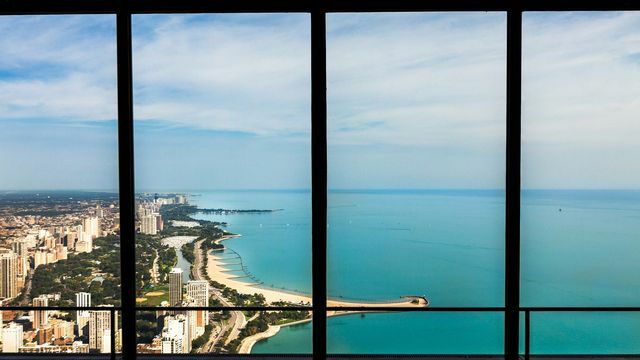 The most desirable rooms with a view, though, are in the luxury high-rises in downtown Chicago that sit right on the water, close to the city's famous Magnificent Mile, Nugent says. The hilltop mansions on the north side of the lake are also popular with those who can afford them. "When you add the dynamic of a high-rise with city lights going on after sunset, that's a power view," she says. 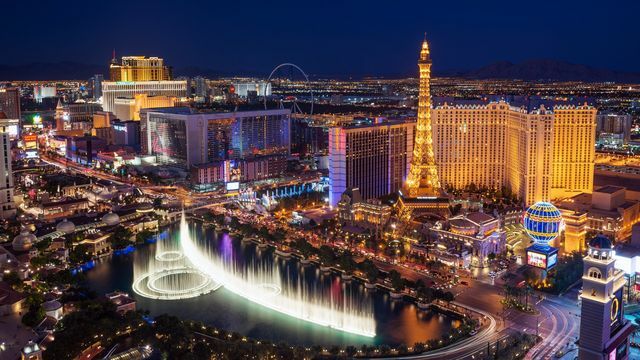 The city of Vegas is practically synonymous—at least to outsiders—with the Las Vegas Strip, that 4.2-mile stretch of South Las Vegas Boulevard lined with ever more spectacular (and yes, to some eyes ever more gaudy) hotels and casinos. So it shouldn't come as a complete shock that Sin City buyers, who tend to be from out of town, are willing to pay more than double for a glittery view of the landscape where dreams are made—and crushed. Right outside their very own window! “When you think of Vegas, you think of the Strip,” says local real estate broker Kamran Zand, of Luxury Estates International, who set the record for selling the most expensive condo in Nevada, a lavish penthouse at the Residences at Mandarin Oriental Las Vegas. And there is no shortage of shining views, thanks to the natural geography of the city. The center of Las Vegas lies in a valley, so those trademark lights are visible from nearby high-rises and the elevated single-family homes favored by local doctors and lawyers, which circle the Strip. Condos cost more per square foot, with the tallest building, Trump Tower, topping out at 64 stories. But houses command a higher total price as long as that shining, blinking, in-your-face panorama is visible from the first floor. Many of Zand's buyers hail from California and overseas, and are mostly on the prowl to buy second or third homes directly overlooking the strip. However, Zand has also seen a big bump in older locals trading in their compounds for high-rise penthouses after the kids leave the nest. Views of the Strip that focus on the area between Tropicana and Sahara avenues are the most popular, because that's where most of the brightest lights and action are located. But glimpses of both the Cosmopolitan and the famed Bellagio fountain nearby, with its light and water shows, come at the highest premium. "People pay the premium because the Strip is to Vegas what the beach is in Malibu," Zand says. "That’s our ocean."